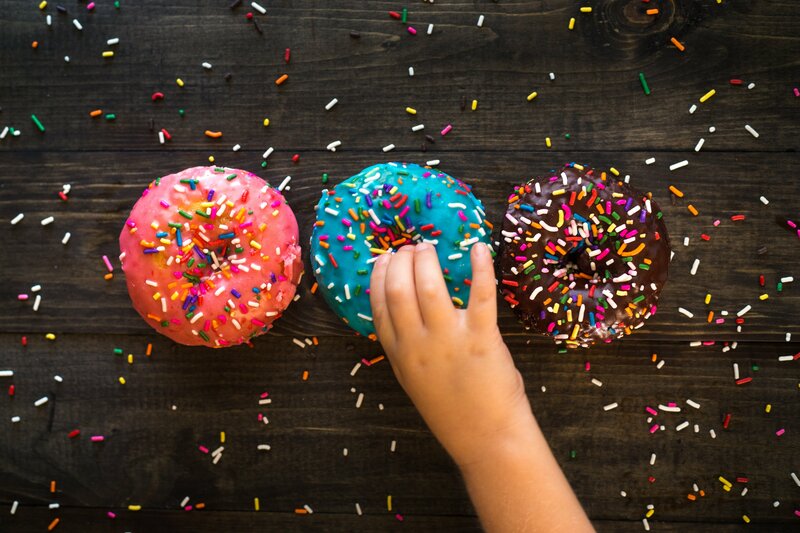 Read on if you want to know why hiding food is bad, why you should give up praising your child when it comes to food, what you can do to stop picky eating and how to make your little one feel comfortable around any type of food. 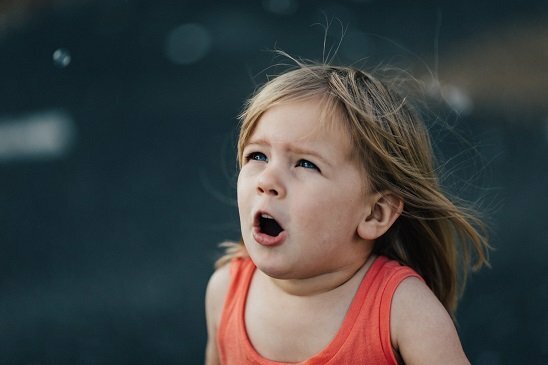 Do you know how I call a child who has learned how to say ‘no’? In the baby led weaning world, I call him a picky eater. Or a fussy eater in more gentle circles. Babies are cool; they are usually exempt from this term. The reasons they are not eating solids are usually others. But once they reach toddlerhood, it’s like someone presses a button on a remote control and switches them off. Before I start giving you the tips for picky eaters so that you know how to overcome this behaviour, I want to introduce some aspects and terminology so that we are on the same page here. 1. What is the meaning of picky eating? 2. 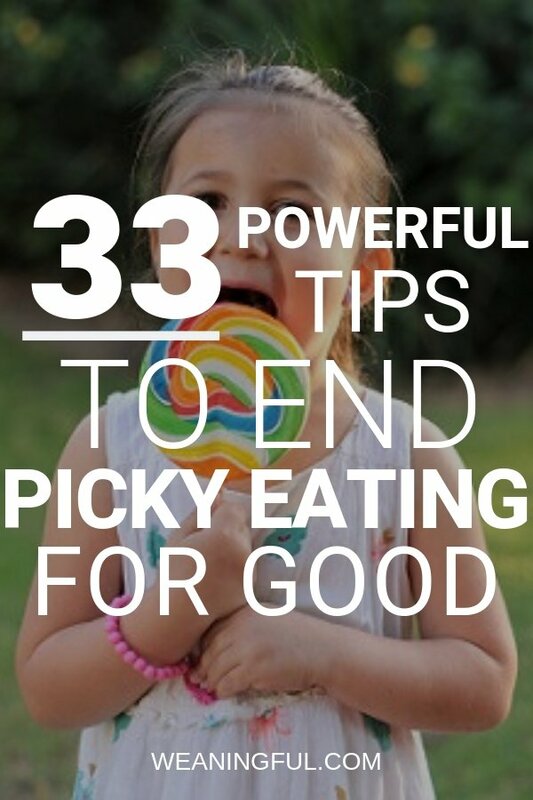 What are the factors affecting picky eating? There is no clear set in stone definition of picky eating. 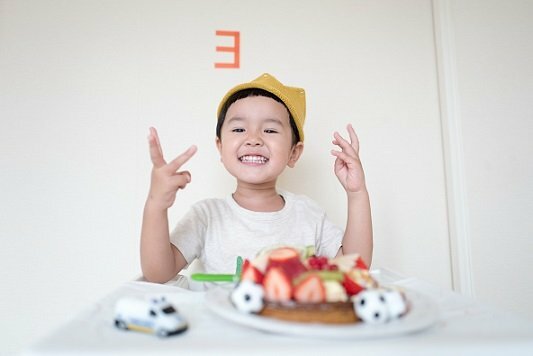 The concept has translated into children who refuse previous favorite foods, who refuse to try new foods (also called food neophobia), who reject only certain type of foods (like veggies for example) and who even show a preference for the method of cooking! Furthermore, there has been a discussion of placing picky eating next to other eating disorders, albeit at the lower end of the spectrum. I don’t know about you, but for me, even the word ‘disorder’ sounds pretty serious. Oddly enough, the phrase “it’s in their blood” might just be true in this case. Well, not blood exactly, but genes. Apparently, we are born with a preference for sweet things. Not only that, but we also developed an innate dislike towards bitter food. This is probably an evolution of some kind of protective system, because most toxic substances are bitter. 3. Okay, but why should I pay attention to picky eating? I love a good study on baby nutrition, and picky eating didn’t let me down. There have been 65 studies published about this topic since 1990. In one of them, specialists imply that picky eaters showed symptoms of anxiety and other mental conditions. And not only that, but picky eating also affects the child-parent relationships, which turn into relationships based on stress and lack of trust. In another one, children have been observed to have lower weight or height for their age. In terms of nutrition, they either had a lower intake of energy, micro-nutrients, iron or vitamin A. There is one more thing I would like to add before I share with you some of my tips on fussy eating. Parents are responsible for the what, the when and the where of feeding infants, while the child is responsible for the whether to eat and how much. That’s mind blowing! Or at least it was for me. It gives children not only a lot of freedom, but also a lot of power. And when they realise this, that is when picky eating can flourish. 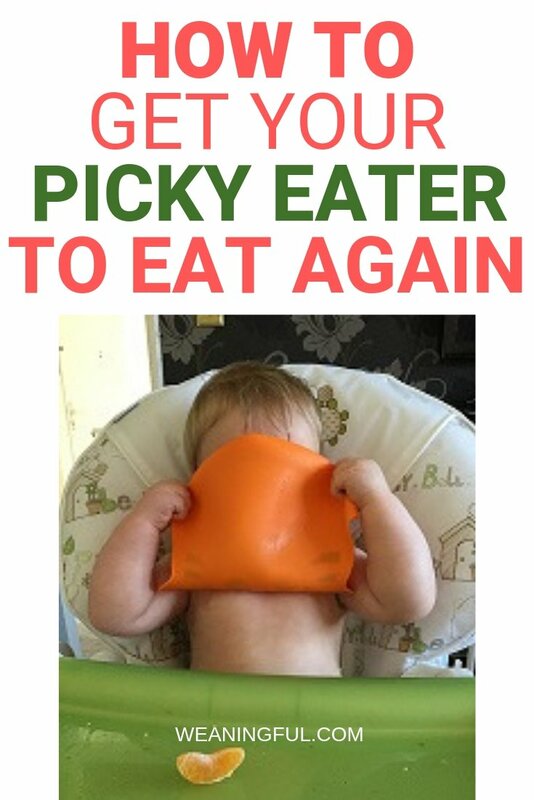 Remember, if you want to take the guesswork out of starting solids with your little one and want to find out what are the top foods babies can’t say no to, then my FREE ebook is packed with information, tips and recipes to vary these foods in 15 minutes or less. Grab it below! 5. How to overcome picky eating? 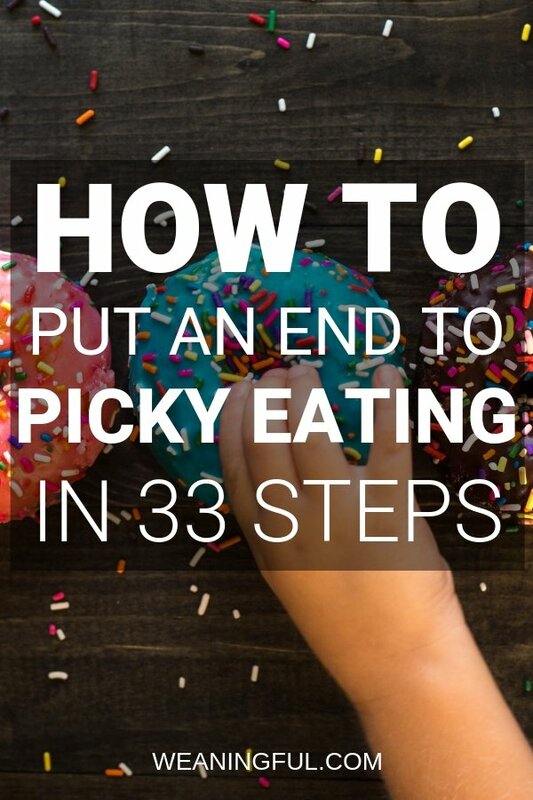 It’s weird how I keep seeing all these picky eater recipes, but not so much quality advice regarding on how to actually prevent or deal with pickiness. In fact, some of the advice below will go against some of the most popular suggestions like hiding the veggies and praising the children. I have divided the list into main tips and subtips, making up the total of more than 30 which you can start implementing today. You will notice something as you go along reading this list. According to this article, babies can sense the emotions of the parents; older children even more so. So next time, come to the dinner table with all your calmness and leave other sources of stress behind if you can. Make the meals more relaxed and give that feeling of togetherness around the table. Subtip: don’t pressure your child to eat. Like mentioned above, it can worsen the fussiness. Especially when he’s not in fact hungry. Subtip: lose the commentary. Don’t comment on each bite as if you’re watching a sports event. Would you be able to enjoy your meal if someone would nag you all the time with words of encouragement, even if he means well? Children love attention. The more you show that you care, the more attention they are receiving, making them act against whatever it is that you’re trying to do. So when it is time for a meal, just bring the food and give it to them; no additional fuss around this. You are giving up any parental expectations and power, trusting that your child knows what to do, like I said in the division of responsibility section. Look like you don’t care if they eat or not. You’ll be fine. 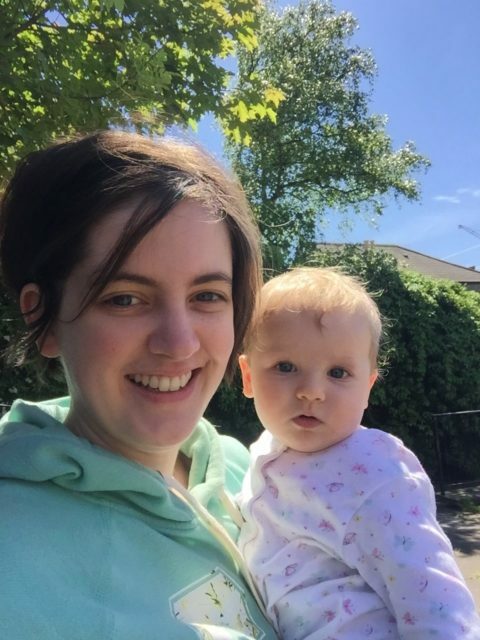 You know when you’re out and about with your child and then you meet someone you know and start complaining about your little one being a fussy eater? Don’t do that. Avoid your child hearing you say that he’s a picky eater. He’ll treat it like a label: “oh, it is expected of me to be a picky eater so I’ll continue acting as such”. Subtip: avoid comparing siblings. Don’t say things like “he is a picky eater, his sister eats everything!”. 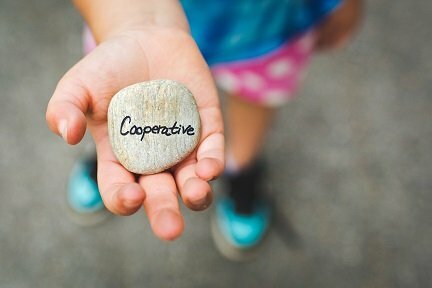 Children will act on this comparison and will move even more towards these extremes. Why do we praise someone? For learning how to ride a bike, for passing an exam, for learning Chinese and so on. These are difficult things that require effort. Eating is not difficult and we don’t need to give children the impression that it is something hard to do. Not everyone eats at the same speed. Some eat quickly, others slowly. Some children are just slow eaters. That doesn’t mean they don’t like their food or they don’t enjoy it. They’re just taking their time and we need to respect that. Allocate more time to meals if this is the case with your little one. Subtip: if the rest finish their meals first, do not leave the table. Instead, engage in some conversation while your child finishes his meal. Subtip: do not assume your child won’t finish his meal eventually. Do not ask him to hurry, do not ask him if he will eat it. Heck, do not even dare to offer to eat the rest for him! Like I said in the beginning, our bodies have an innate preference for all things sweet. Sweet things give us moments of pleasure, while savoury things give us a feeling of being full and no longer hungry. And the more we have of either of them, the more our bodies will ask for them. So try to turn your little one’s diet into a savoury one. Instead of offering something sweet as a snack, go for some veggie sticks. Subtip: do not ditch sweet stuff altogether. Have a special day for it and stick to it! And buy the sweets on that day, not earlier! In this way, your child won’t be able to pester you constantly about them until you give in. 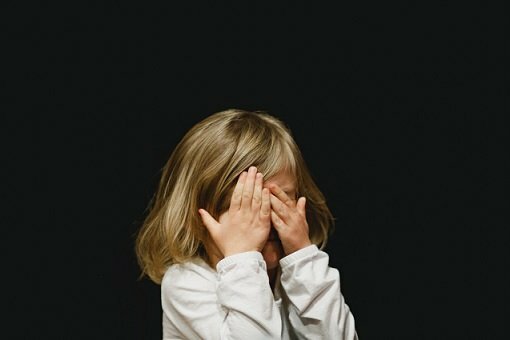 Talking about veggies, I think I’ve read and seen so many things about ‘hidden veggies’ and all those picky eater recipes, that I think everyone assumes it is normal to hide foods they don’t like. We usually hide things that we find unpleasant, like zits on our face. We don’t want to be sending the same signal to our children related to food. Display vegetables in their most natural form, openly and boldly. Try varying colour and see how your child likes them. Subtip: don’t lie about food. It builds mistrust in the relationship with your child. The kitchen should be open to everyone, including kids who want to cook. They’re more likely to eat it if they make it! Even if it’s a total mess in the process, even if it takes 10 times longer to cook food, it is worth experimenting with this and see the results. Rewards are a powerful thing. The message they transmit to a child is the following: you have to eat this awful food before you get to eat the ice cream for example. It increases the dislike for the food and the like for the reward. Usually the reward is something unhealthy or sweet, which adds to the problem. Subtip: stickers or golden stars are also a form of reward. 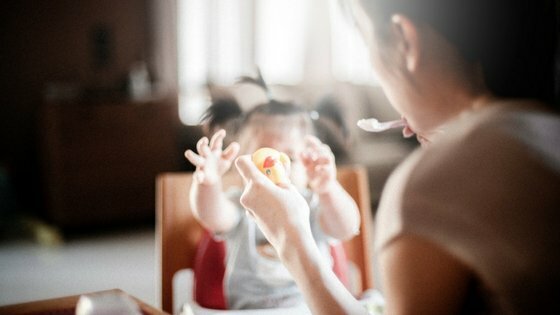 Instead of making them about eating a whole meal, how about giving them whenever your child tries a new food for example? One of the principles of baby led weaning is sharing the family meals with your child. This means showing your little one that he can sit at the table with the adults and eat the same food. If you label food as “ours vs. his”, then your child might be thinking he is not supposed to eat like everybody else does. 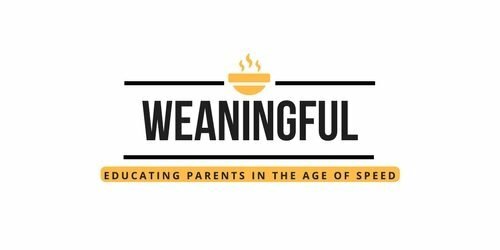 One of the roadblocks I encountered on our weaning journey was the “intrusion” of my parents and grandparents, who were constantly sharing their thoughts on the matter. The thing is, they did things differently back then. And they used to tell us to eat all our veggies cause somewhere in the world there was someone starving or that we won’t grow big and strong otherwise. There were either times when things were scarce or when there was a complete lack of variety. So do not say the same things to your child now. Wars are over, food is no longer scarce and there’s plenty to enjoy. No need to put extra pressure. I strongly believe in simple food as opposed to fancy cooking. Oftentimes, I would cook some cool recipe from the internet, only to get a long stare from my toddler who was obviously not so impressed and would have none of the food. Subtip: think of dishes that your family enjoys most or popular dishes in your culture and deconstruct them into their base ingredients. Serve them as such, instead of all mixed together. What I mean by control is the urge that we sometimes have to protect our children from the unknown. However, food is not dangerous and we should let our children explore new foods, tastes and textures if they wish to do so (unless the food is not properly cooked or cut for your little one, in which case it is advised to not serve it to your child). So next time he’s reaching for a new food, do not stop him from doing it. 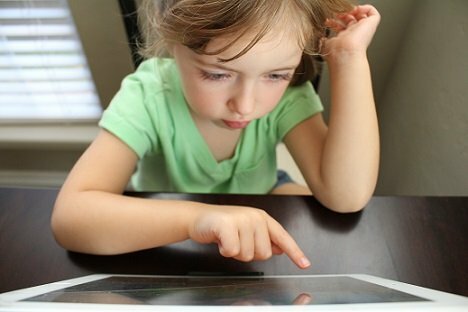 Some children have gotten used to having either a tablet, a phone or some kind of “companion” whenever they eat. This actually distracts them from the act of eating and sometimes, they can’t really tell when they’re full and should stop eating. Fussiness appears when the object of distraction is no longer present. Because the child got used to having it next to him every time, he might refuse his meal altogether. In other words, introduce some variety into your meals. Don’t always cook what your child prefers, because it can deepen the pickiness. Leave preferences as preferences and only cook them from time to time. Subtip: you can introduce variety not only in terms of food, but also location (for example, you can go for a picnic, lay the table outside in the garden or on the bed for a change – it loosens up the atmosphere) or you can opt for a candlelit dinner. Subtip: you can also vary the way you serve food, either by varying the plates and bowls (the model and the size) or by varying the way they receive the food (for example, offering smaller portions and allowing for seconds, or by giving an empty plate and let your child pick from a buffet of foods on display). 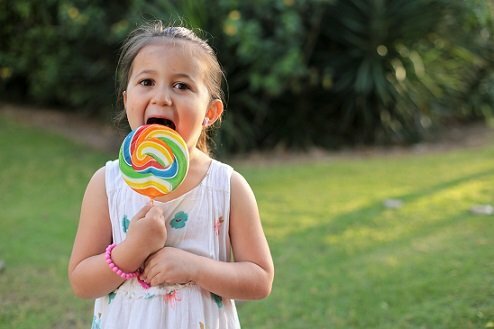 Whenever a child is upset or in bad spirits, parents are used to giving him a lollipop, a cookie or some sort of food (usually not very healthy) in order to make him happy again. We have introduced the idea that food can make things right again. This is giving children false hopes and bad habits. Not to mention creating preferences. 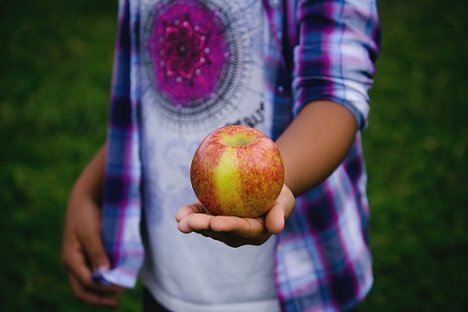 Did you know that children can be offered a food up to 15-20 times until they accept to even take a bite? So do not give up trying. Keep offering new foods and let the child experiment. Subtip: you can offer 3 types of food at each meal. One that you know he will eat. One that he might eat. And one he doesn’t like very much or that he hasn’t tried before. In this way, you will have the certainty that he will eat something, if not all of it, and he gets the chance to experiment different food combinations. You never know which one will work in the end. We should be more relaxed around food. And since children love to have fun, you can try to link these two together. 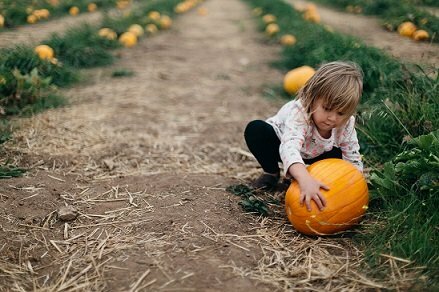 You can go to a farmer’s market and let your little one have a taste from what’s on display. You can go to an actual farm and pick your own veggies and fruit. Play a blindfold game, where you give him the chance to guess foods based on taste only. Try going international from time to time and serve foods like Indian, Japanese, Thai and so on. You can try to arrange food on the plate using your creativity, to make various animals. Pinterest is a great source of inspiration for that. Subtip: put your food on toothpicks, if you can. Children love toothpicks. Like going on a diet or quitting smoking, dealing with picky eating can be hard and it is easier to give up than to continue. You won’t see results in a couple of days. I’d rather give it weeks and months. But the idea is not to give up at the first sign of things not going to plan. Changing your habits and your children’s habits takes willpower. And time. 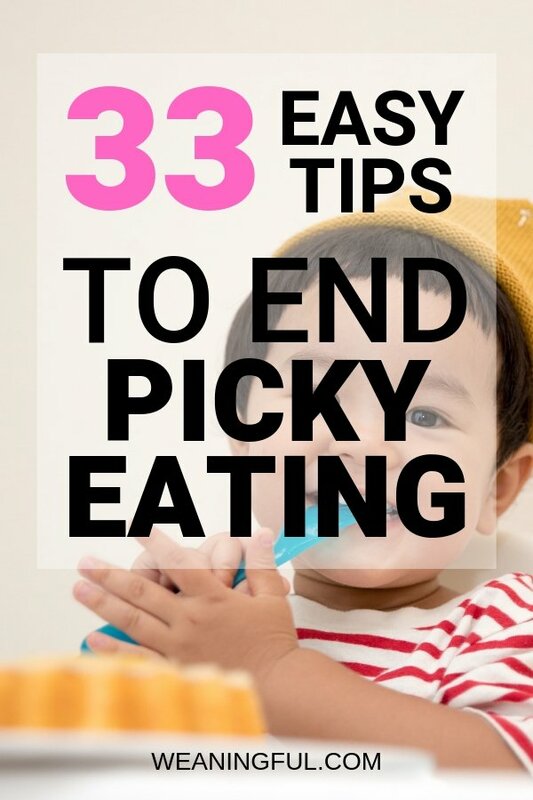 You notice that most of the tips above involve giving up certain parental habits, which means the fight against picky eating starts with you and continues with your child. Even if these might sound a bit harsh (where’s the love, momma? 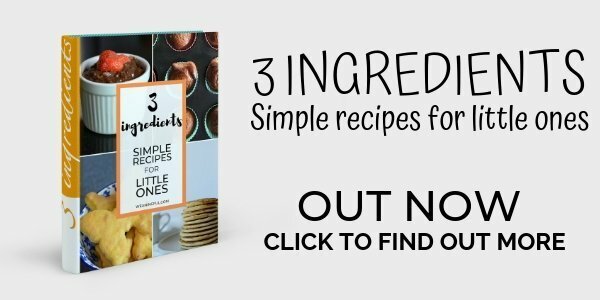 ), I do hope they will help you on your journey to healthier and more relaxed mealtimes. Hugs and kisses can come afterwards. Please share this post on Pinterest or social media. People deserve good content. Thank you! Leave a comment if you want to add any extra tips or have an experience to share. Want to read more? Then this book is for you! Some of the tips I have shared here can also be found there, along with tips from a paediatric nutritionist.